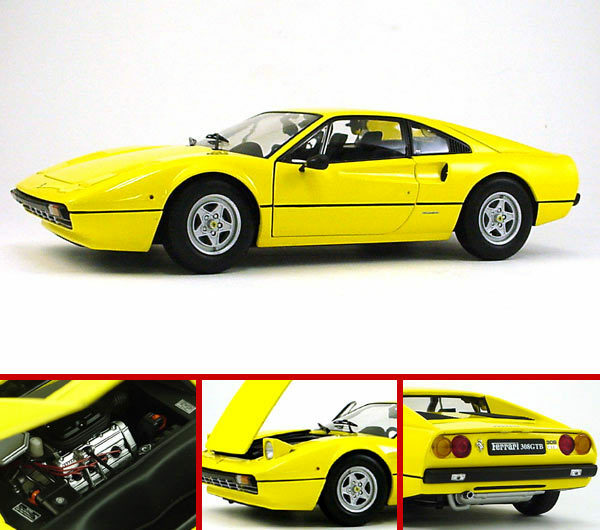 Ferrari 308 GTB 1977 Yellow by KYOSHO 1/18 Scale , $499.99 at Modena Motors Inc. Highly detailed and long discontinued. Very desirable and hard to find. very limited quantities available so don't miss out. NEW in Box but boxes may contain some slight shelf wear. LAST ONE. COLLECTION CONSIGNMENT.